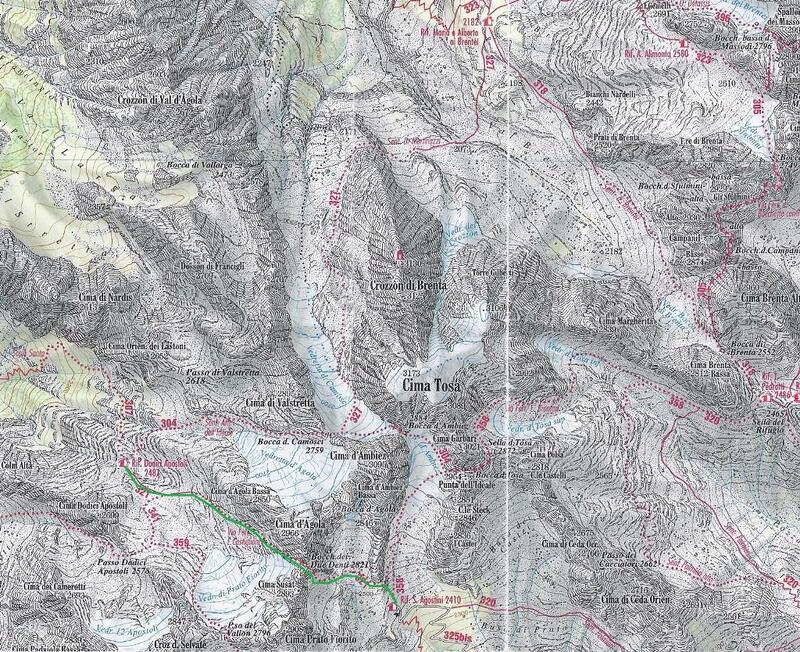 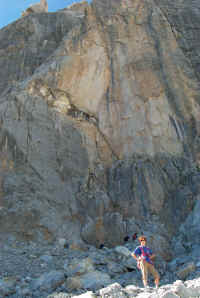 From the Agostini Refuge you go up the Ambiez hanging glacier past some modest rocky outcrops. 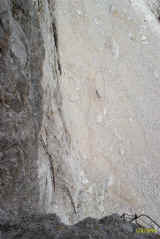 At the fork with path no. 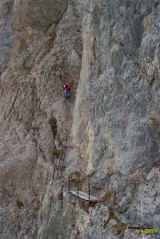 358 (Brentari fixed rope route) turn left onto path no. 321. 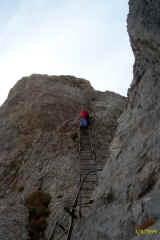 After a few crags, you soon begin to climb up the Cima d’Agola rock face. 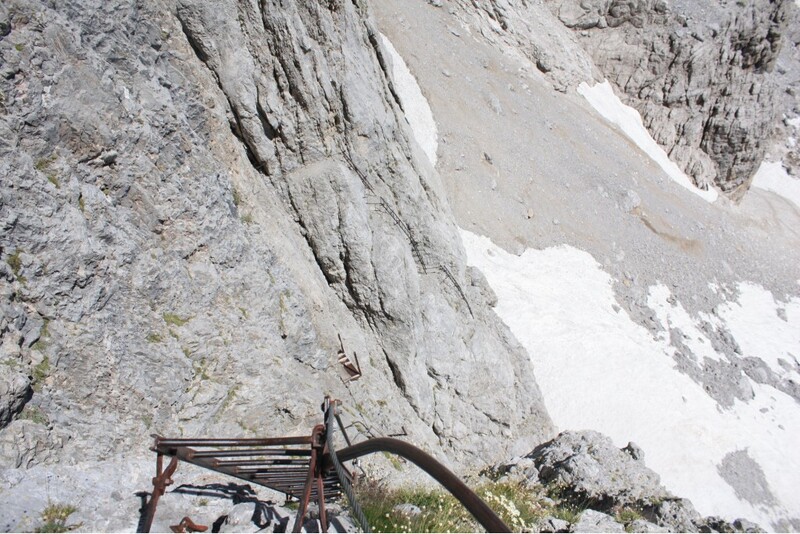 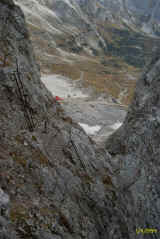 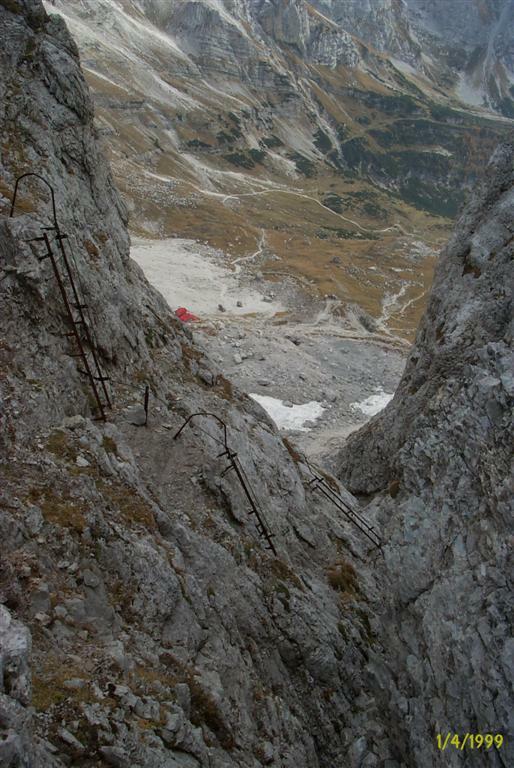 A few daring diagonal ladders and numerous fixed ropes make the climb up to the Bocchetta dei Due Denti a little easier. 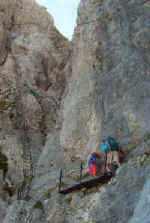 Coming down along the Vedretta di Pratofiorito hanging glacier, with magnificent views over the Adamello-Presanella massif, you get to the Dodici Apostoli Refuge in about an hour.